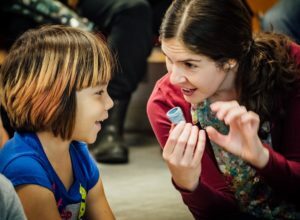 Discover educational tools to use in your classroom to teach youth about Canada's people, places, and cultures. We are curating 20 short videos on the theme of reconciliation, and 15 short videos on the theme of the environment. Each will be prepared with a one-page inquiry guide for teachers to prompt discussion and critical thinking, and provide resource links to extend user learning. Teachers will be able to access these video series for free on the Canada C3 Digital Classroom. 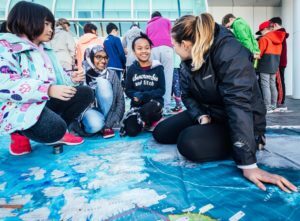 Ongoing circulation of Canada C3 Giant Floor Maps and accompanying Teacher’s Kit, which includes 15 curriculum-linked learning activities that relate to the 4 key themes of Canada C3. Teachers can loan a map for a 2-week period for free. Learn more here. Perspectives of Young Canadians on the Future of Canada: Reconciliation, the Environment, and Diversity and Inclusion. This book will consist of essays contributed by young Canadians, between the ages of 18 and 25, who served as Canada C3 Youth Ambassadors on this pan-Canadian voyage, as well as perspectives of other notable Canada C3 young adult participants whose recognized work in their respective fields is collectively aimed at effective modes of youth/public engagement to drive change related to the environment, reconciliation, and/or diversity and inclusion.